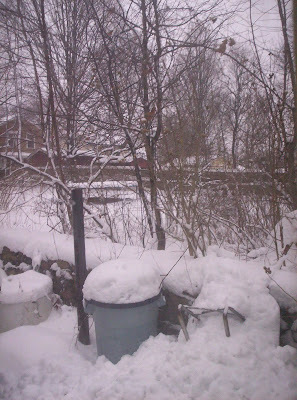 Exfanding Your Horizons: Why Hate Snow? I don't know how it is for you, but where I live there is a lot of snow outside. Yesterday was the kind of Big Snow Day that schoolkids spend all year dreaming about, and today there's still more than enough snowman heads and torsos outside just waiting to be assembled. When I was younger, winter was my favorite season. I detest summer because of all the bugs, the dress code, the obscene heat and humidity, and the widely accepted notion that I should actually go outside. Winter, being summer's polar opposite, if you will, was right away a contender for first place on my list. Furthermore, all my favorite holidays are take place in or close to winter. I love watching snow fall and looking at a snowy landscape. I like that we get a break from all that color once a year and can enjoy the world in grayscale for a while, like an artistic black-and-white photograph. I enjoy curling up in front of a warm fire with a mug of hot chocolate. Winter is the best. ...Winter was the best. Now I'm not so sure. I feel like I've grown more sensitive to the cold in recent years. I can be inconvenient to have business close due to inclement weather. I'm now the primary shoveler of snowy driveways at my house. I'm now responsible for driving myself everywhere when it's snowing, which I don't mind as much as others seem to, yet it's still time-consuming and potentially dangerous. All the aspects of winter that people dislike are finally starting to overshadow the aspects I love. All this, combined with staring out the window at the gorgeous snowy landscape outside, got me to wondering: Is Mr. Freeze unpopular because people hate winter? Follow my train of thought on this one: I generally enjoy winter (though not quite as much as I used to). Most people I know don't like winter. I generally enjoy any aspect of a fandom that is related to snow and ice, such as slippery ice levels in videogames. Most people I know don't like slippery ice levels. 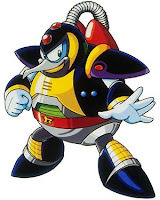 Ice levels made me think of Chill Penguin from Mega Man X, a boss who is generally considered to be a joke. Nobody likes Chill Penguin. Another ice-themed villain who is underappreciated and unloved is Mr. Freeze. Nobody likes Mr. Freeze, except for me. Not that I've done a nationwide survey or anything, but it has been my experience that I am one of the only people I know who enjoys wintery things in my fandoms. While the Joker is a well-crafted villain who makes for excellent Batman stories, I just like Mr. Freeze better. I like his surprisingly good-guy backstory and the whole ice shtick. "Ice shtick." Try to say that one three times fast. As for Chill Penguin... Okay, so he's a pushover. But in many other Mega Man games, some of my favorite bosses, stages, weapons, and songs are the winter-themed ones: Blizzard Buffalo and his stage music; Frost Walrus' theme; Ice Man and his weapon; almost everything about Flash Man (his stage is slippery and he can freeze time, so that's close enough). In most cases, I really like snow and ice levels in my video games. World 6 of Super Mario Bros. 3 is possibly my favorite world in the game. The two Surface levels from GoldenEye: 007 and the ice dungeon from The Legend of Zelda: A Link to the Past are pretty fun. The Mario Party 7 minigame where you dodge penguins who are trying to rush into the icy water is great. Phendrana Drifts in Metroid Prime is beautiful. I'm not insinuating that I only like ice levels or that I like all ice levels, but I typically enjoy the added layer of complexity they entail, and the visual designs are usually pretty nifty. Didja ever notice how Dungeons & Dragons, at least in versions 3.0 and 3.5, has a fixation on fire magic? Burning Hands. Scorching Ray. Fireball. Where's my ice magic? It's a dinky Ray of Frost. 1d3 damage. The next real ice spell in the Player's Handbook is several levels higher. Look, I may have Freezing Hands from adventuring out in the snow; that doesn't mean you need to leave it out of my spellbook! I know there are supplements and variant rules that can remedy this, but most of the people I've ever played with have been plenty happy with their fire magic. Ice and snow are underappreciated, I'm telling you! HTML snow? Of course! Ice sculptures? Awesome. Sub-Zero? Way better than Scorpion. Best song from Cannibal! The Musical? "Let's Build a Snowman." Ice, snow, and winter. I like 'em. Hopefully I'm not alone, because somebody needs to like Chill Penguin.